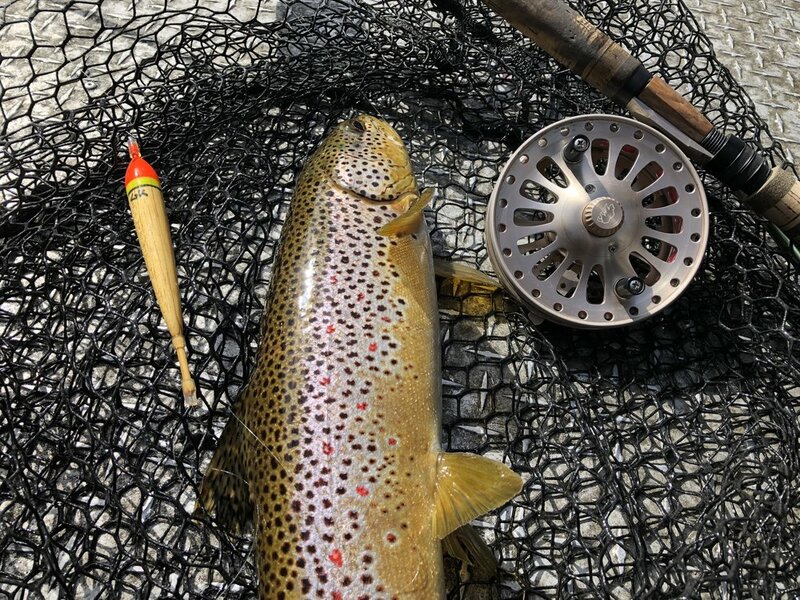 Lake Run Brown Trout are usually caught as by-catch while on our guide trips for Salmon and Steelhead. Although in the Spring when we can get out we target them along the beaches while trolling stickbaits and small spoons. We also cast for them as along piers and other structure. The Lake Run Browns usually start showing up in the rivers in late October and some will winter over in the rivers until February or March. These fish can grow to very large proportions and Michigan is home to the world record Brown Trout. Lake Trout will usually start showing up sometime in November and are usually gone by January. Although we do not catch these fish on every guide trip out they are not uncommon when in season. These fish are usually caught while floatfishing with eggs or dropping back plugs on our guided trips. You just never know when one of these will surprise you while fishing for Steelhead! 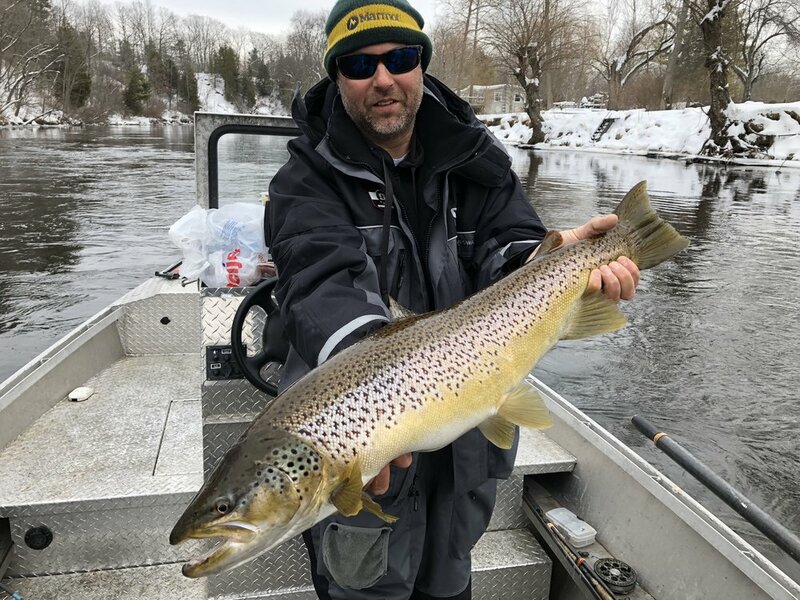 We mainly catch these fish in the Grand River, Muskegon River, and the Big Manistee River, but the smaller tributaries such as the Pere Marquette, the Rogue, and the White can hold decent numbers as well. Grand Rapids 6th st. Dam on the Grand River is usually a good spot to intercept these fish when we have heavy fall rains and higher water. Contact our guide service to begin your search for these Monster Trout!